About - Arrowhead Pharmaceuticals, Inc.
Arrowhead has built an experienced team of leaders that foster a culture of innovation and have a proven ability to advance development programs from idea stage into commercial pharmaceutical products. 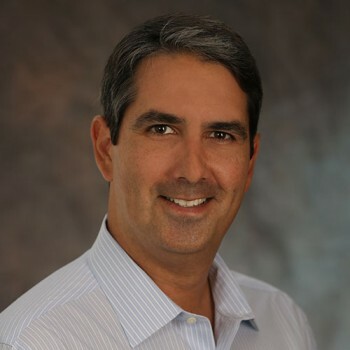 Dr. Christopher Anzalone has been President, Chief Executive Officer and Director of the Company since December 1, 2007. In 2005, Dr. Anzalone formed and served as CEO of the Benet Group LLC, a private equity firm focused on creating and building new nano-biotechnology companies from university-generated science. Prior to his tenure at the Benet Group, he was a partner at the Washington, DC-based private equity firm Galway Partners, LLC, where he was responsible for sourcing, structuring, and building new business ventures. Prior to Galway, Dr. Anzalone was an NIH-supported post doctoral fellow in Reproductive Endocrinology at the Smithsonian Institution’s Conservation and Research Center. Dr. Anzalone holds a Ph.D. in Biology from UCLA and a B.A. in Government from Lawrence University. 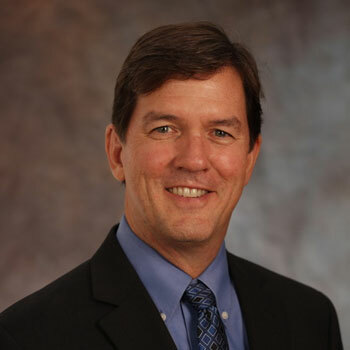 Dr. Bruce Given, Chief Operating Officer, joined Arrowhead in 2011. Dr. Given was a member of the Board of Directors for ICON, plc. from 2004 until his retirement in 2013 and Chairman of its Board of Directors from 2010 to 2013. Dr. Given served as the President and Chief Executive Officer, and as a member of the Board of Directors of Encysive Pharmaceuticals, an R&D-based commercial pharmaceutical company, roles he held from 2002 through 2007. Subsequent to his tenure at Encysive until 2011, Dr. Given was President of Bruce Given Consulting, a firm that provides consulting services to biotech companies. Since October 1, 2009, Dr. Given has been a director of Calando Pharmaceuticals, Inc., and from February 2010 until its dissolution in October 2014, Dr. Given was the Chief Executive Officer of Leonardo Biosystems, Inc., in which Arrowhead held a minority equity interest. Prior to his tenure at Encysive, Dr. Given held several senior executive roles at Johnson and Johnson, Sandoz Pharmaceuticals, and Schering-Plough. Dr. Given obtained his bachelor of sciences degree from Colorado State University, graduating Phi Beta Kappa. He received his M.D. degree with honors from the University of Chicago, Pritzker School of Medicine and completed his medical training at the University of Chicago and at Brigham and Women’s Hospital in Boston, where he was a Clinical Fellow at Harvard Medical School. He is board certified in internal medicine and endocrinology and metabolism and has authored 33 scientific publications. Kenneth A. Myszkowski, Chief Financial Officer, joined Arrowhead in 2009. Prior to joining Arrowhead, Mr. Myszkowski served as the corporate controller for Broadwind Energy, a public energy company which provides products and services to the wind energy industry. Previous to his position at Broadwind, Mr. Myszkowski was controller for Epcor USA, the U.S. headquarters for Epcor Utilities, Inc., a public energy company. 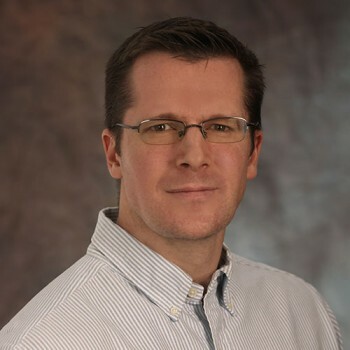 Prior to Epcor, Mr. Myszkowski was controller for two start-up ventures: NanoInk, specializing in Dip Pen Nanolithography, a nanofabrication technology, and Delphion, which provided on-line tools for intellectual property research. Mr. Myszkowski also held several corporate roles at FMC Corporation, and Premark International, both Fortune 500 conglomerates. He began his career in the audit practice of Arthur Andersen & Co. in Chicago, Illinois. Mr. Myszkowski received his undergraduate degree from the University of Illinois, and his MBA from the University of Chicago Booth School of Business. He is a certified public accountant. Patrick C. O’Brien, General Counsel, joined the Company in December 2014. Mr. O’Brien has practiced in the healthcare legal field for over 20 years. Before joining the Company, from 2012 to 2014, Mr. O’Brien was with Shire, where he was Group Vice President, Law. Immediately prior to working with Shire he was a partner with the international law firm of Holland & Knight LLP in its Washington, DC office. In 2010, Mr. O’Brien co-founded the law firm O’Brien Gould PLLC which joined Holland & Knight in 2011. From 2009 – 2010, Mr. O’Brien was a partner in Burke O’Neil LLC. From 2001 – 2009 Mr. O’Brien served in several legal roles with Johnson & Johnson, including serving as Vice President of Law for J&J’s Centocor Ortho-Biotech unit. Mr. O’Brien previously served as Regulatory Counsel with the United States Food & Drug Administration. Mr. O’Brien was awarded a BS in Pharmacy and a PharmD from the University of Arizona before completing a residency in Clinical Pharmacy with the University of Illinois at Chicago Hospital. He was also awarded his JD from the University of Arizona. Doug Given is Chairman of the Board. He has been a director of the Company since 2010. Doug is Managing Partner at Health2047 Capital Partners LLC. He served as Health2047 Inc.’s Chief Executive from its founding in August of 2015 until January 2018. Previously, Doug spent more than a decade in venture capital as an Investment Partner and General Partner at life sciences investor Bay City Capital LLC participating in five sequential life sciences general funds and two sector-specific funds; he was associated with the partnership from 1999-2015. 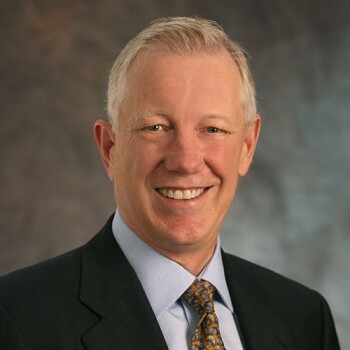 A physician and medical scientist by background, Doug has been a global corporate and operating executive at Lilly, Monsanto, Schering Plough and Mallinckrodt and a serial entrepreneur, as well as a venture capitalist. In addition to a number of private companies, he led three public biotechnology and biopharmaceutical companies as CEO. 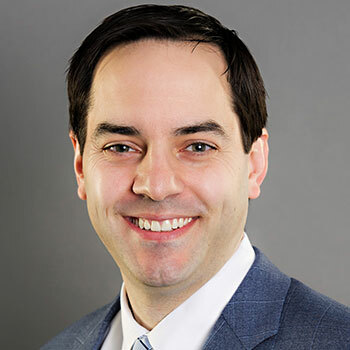 Doug received MD and PhD degrees from the University of Chicago, an MBA from the Wharton School at the University of Pennsylvania, and was a Clinical and Research Fellow in internal medicine and infectious diseases at Massachusetts General Hospital and Harvard Medical School. Dr. Mauro Ferrari was appointed to the Arrowhead Board of Directors in 2010. Dr. Ferrari is the President and CEO of The Houston Methodist Hospital Research Institute (TMHRI), Executive Vice President of Houston Methodist Hospital, and Senior Associate Dean of Weill Cornell Medical College in New York. He is also the President of The Alliance for NanoHealth. Dr. Ferrari is an internationally recognized expert in nanomedicine and biomedical nanotechnology. Prior to assuming leadership of TMHRI, Dr. Ferrari was Professor and Chairman of The Department of NanoMedicine and Biomedical Engineering at The University of Texas Health Science Center at Houston, Professor of Experimental Therapeutics at the MD Anderson Cancer Center, Adjunct Professor of Bioengineering at Rice University, and Adjunct Professor of Biomedical Engineering at the University of Texas in Austin. His previous academic appointments include tenured professorships at UC Berkeley and The Ohio State University. From 2003 to 2005, Dr. Ferrari served as Special Expert on Nanotechnology and Eminent Scholar at The National Cancer Institute, where he led in the development of NCI’s program in Nanotechnology, which remains the largest program in NanoMedicine in the world. Dr. Ferrari has been serving as the Editor-in-Chief for “Biomedical Microdevices: BioMEMS and Biomedical Nanotechnology” since 1997. We believe Dr. Ferrari’s qualifications to serve on the Board include his extensive training and experience in the fields of nanotechnology, biotechnology and biomedical applications. Dr. Ferrari has significant technical training, several academic appointments, over 300 published articles, over 30 issued patents, and is the recipient of most prestigious academic awards in nanomedicine and drug delivery technology. Additionally, Dr. Ferrari has extensive experience in developmental stage organizations having founded several startup companies. Dr. Michael S. Perry joined Arrowhead’s Board of Directors in December 2011. Dr. Perry is currently the Chief Executive Officer of Avita Medical (ASX: AVH and OTCQX: AVMXY). From 2014 until June 2017, Dr. Perry served as Chief Scientific Officer of Novartis’ Cell and Gene Therapy Unit and from 2012 until 2014 he served as Vice President and Global Head of Stem Cell Therapy for Novartis Pharmaceuticals Corp, a US affiliate of Switzerland-based Novartis AG. Prior to his appointment at Novartis, Dr. Perry was a Venture Partner with Bay City Capital LLP from 2005 until November 2012 and President and Chief Medical Officer of Poniard Pharmaceuticals from 2010 to November 2012. He also currently serves as a member of the board of directors of AmpliPhi Biosciences Corporation and Avita Medical. He was Chief Development Officer at VIA Pharmaceuticals, Inc., a publicly held drug development company, from April 2005 until May 2009. Prior thereto, he served as Chairman and Chief Executive Officer of Extropy Pharmaceuticals, Inc., a privately held pediatric specialty pharmaceutical company, from June 2003 to April 2005. 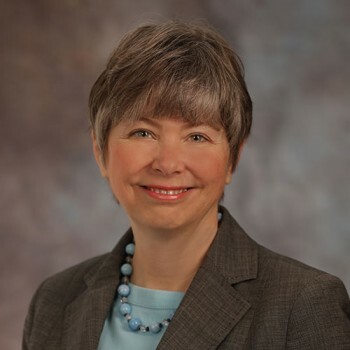 From 2002 to 2003, Dr. Perry served as President and Chief Executive Officer of Pharsight Corporation, a publicly held software and consulting services firm. From 2000 to 2002, Dr. Perry served as Global Head of Research and Development for Baxter BioScience. 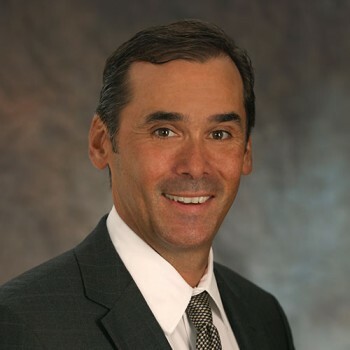 From 1997 to 2000, Dr. Perry was President and Chief Executive Officer of both SyStemix Inc. and Genetic Therapy Inc., two wholly owned subsidiaries of Novartis Corp. and from 1994 to 1997, he was Vice President of Regulatory Affairs for Novartis Pharma (previously Sandoz Pharmaceuticals). Prior to 1994, Dr. Perry held various management positions with Syntex Corporation, Schering-Plough Corporation and BioResearch Laboratories, Inc. Dr. Perry holds a Doctor of Veterinary Medicine, a Ph.D. in Biomedical Pharmacology and a B.Sc. in Physics from the University of Guelph, Ontario, Canada. He is a graduate of the International Management Program at Harvard Business School. We believe Dr. Perry’s qualifications to serve on the board include his medical expertise and his extensive experience in preclinical and clinical drug development, including executive level leadership roles in several publicly held biotech companies. 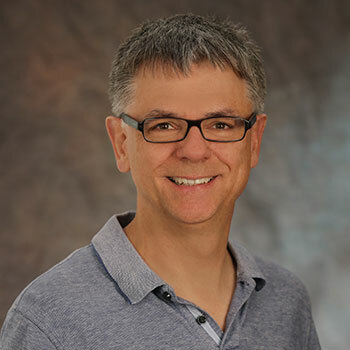 Will Waddill began his career 30 years ago in commercial banking and public accounting and has been in the biotechnology industry for over 25 years. Currently he sits on the boards of Protagonist Therapeutics and Arrowhead Pharmaceuticals. Most recently he was Senior Vice President, CFO of Calithera Bioscience where he completed over $106 million in equity financing including the company’s $80 million IPO in October 2014. Prior to Calithera, Mr. Waddill was Senior Vice President, CFO, at OncoMed Pharmaceuticals from 2007 to 2014, where he was responsible for all corporate financial matters, most notably their $94 million Initial Public Offering in 2013, private equity financings of $126 million, and three collaborations valued at $6.1 billion. Prior to OncoMed, Will was Senior Vice President, CFO, at Ilypsa, where he was the finance lead for the companies $420 million acquisition by Amgen. Before joining Ilypsa, he was the founder and principal at Square One Finance, a life science consulting business managing the finances of 33 start-up biotechnology companies including eight that became public and six that have been acquired. 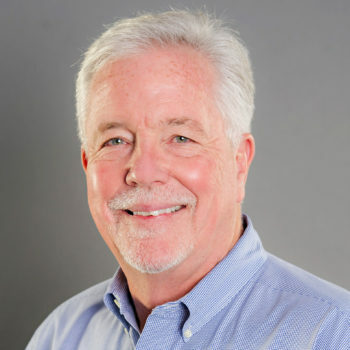 In addition to being on the boards of Protagonist and Arrowhead, Will is an emeritus board member of the Association of Bioscience Financial Officers (ABFO), where he was Chairman in 2016 as well as co-chair of the ABFO 2014 National Conference. Formerly he served as Chairman of the Biotechnology Industry Organization (BIO) BIO Business Solutions Advisory Board as well as the Finance and Tax Committee. Will has testified in Washington D.C. on behalf of the biotech industry in front of the Senate Finance Committee and Congressional Capital Markets Subcommittee. He received a BS in accounting from the University of Illinois, Chicago, and certification as a public accountant (inactive) after working at PriceWaterhouseCoopers and Deloitte in Boston. Arrowhead’s advisors are globally recognized key opinion leaders in their respective fields whose contributions help to guide the direction and design of our clinical development programs.